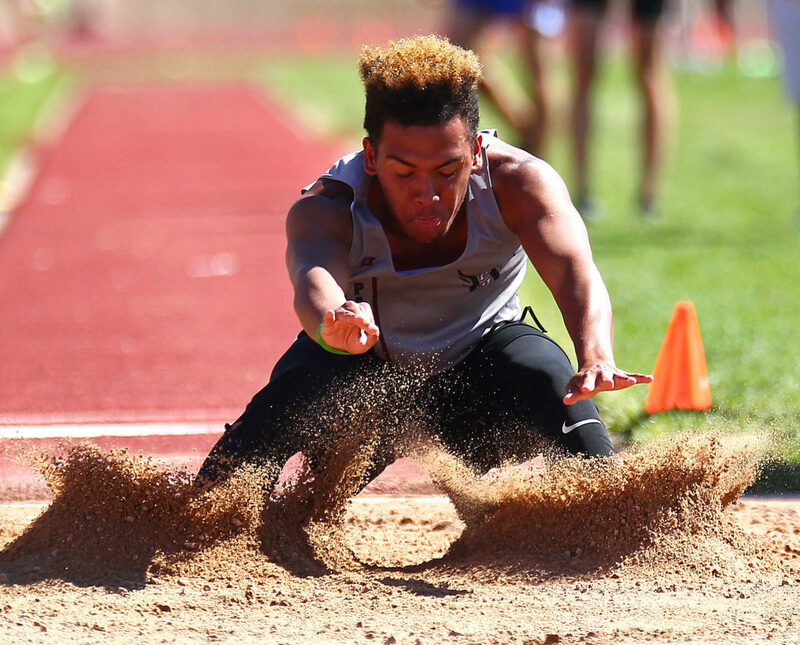 CEDAR CITY – For the Desert Hills boys track team, it was yet another day of dominance. For the Thunder girls, it was a first. 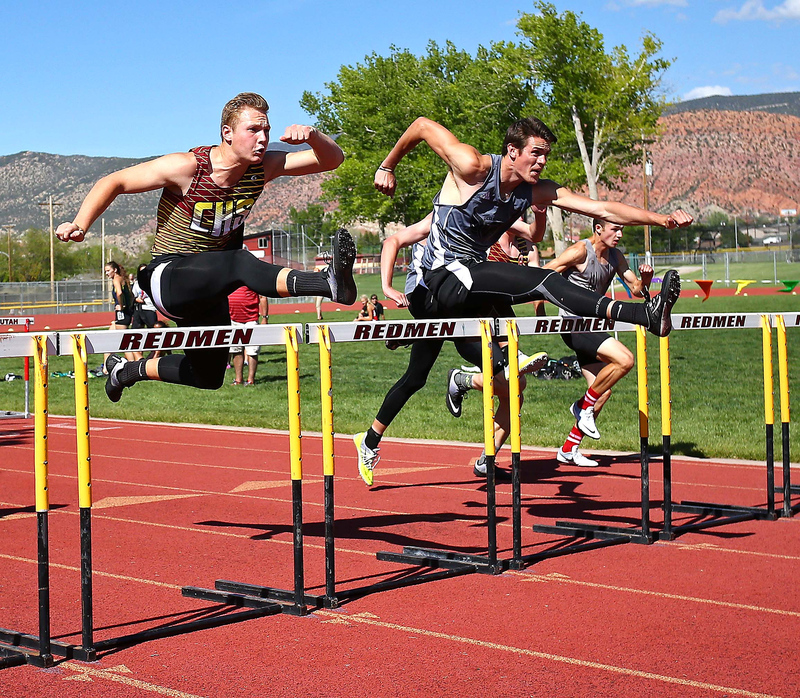 Either way, both D-Hills teams were crowned as Region 9 champions Thursday in Cedar City. 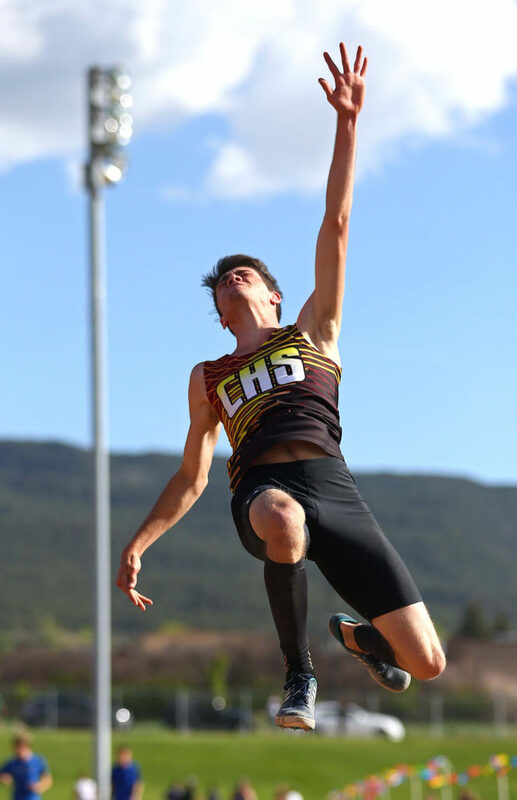 Led by hurdle champ Carter Reynolds and “fastest man” Bradley Earl, the Desert Hills boys sprinted away with the big win at the region meet, scoring 215 points. 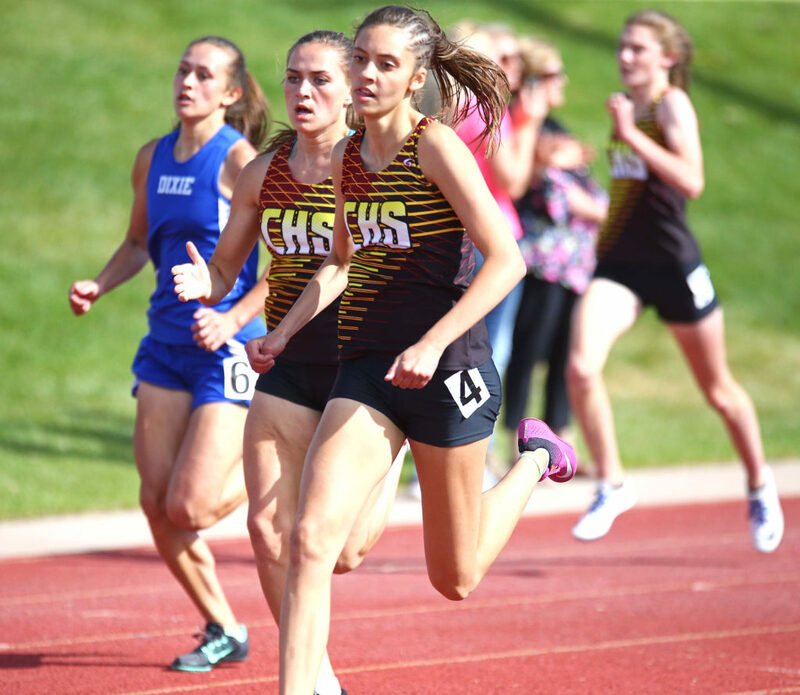 Led by distance runner Jensen Lambert, winner of both the 1600 and 3200 meters, Cedar finished second on its home track with a score of 121. 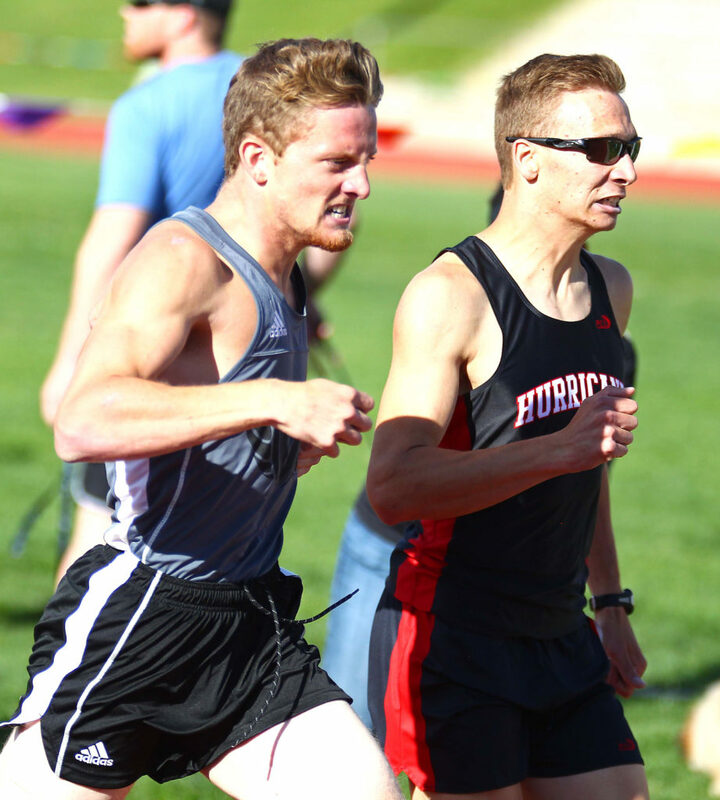 The Armstrong brothers, sophomore Caleb and senior Caden, went first and second in the 800 meters to help Hurricane capture third with 103 points. 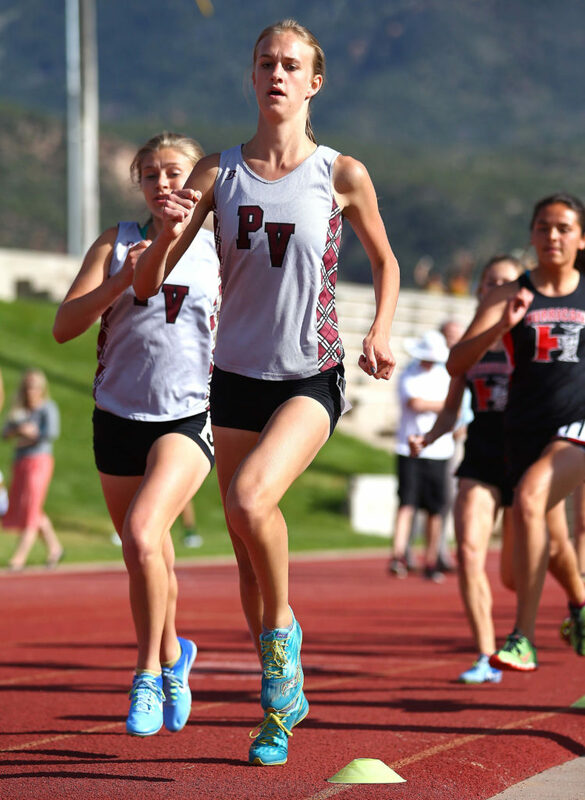 Pine View was fourth with 88, Snow Canyon fifth with 49 and Dixie sixth with 31. It is the fifth straight region championship for Desert Hills, which will also go for its fifth straight state 3A title next week at BYU’s Robison Stadium. 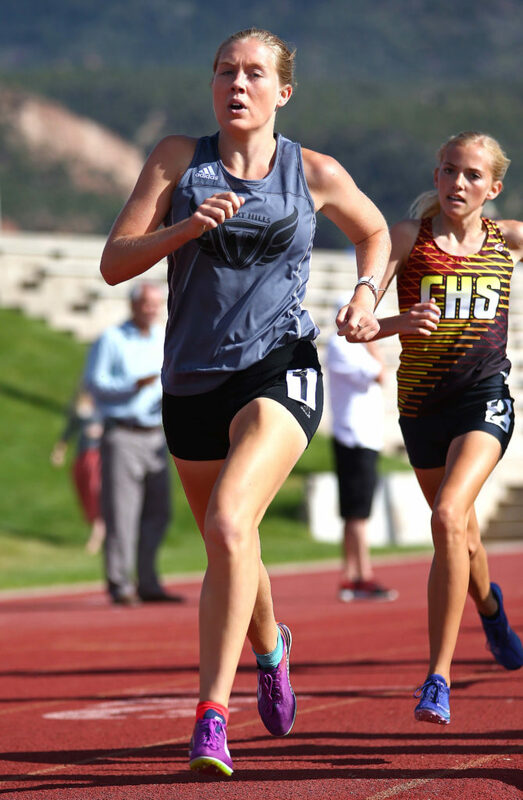 For the Desert Hills girls, sophomores Bailey Brinkerhoff and Samantha Nelson were first and second in the 3200 meters and the Lady Thunder outdistanced Cedar 228-171. 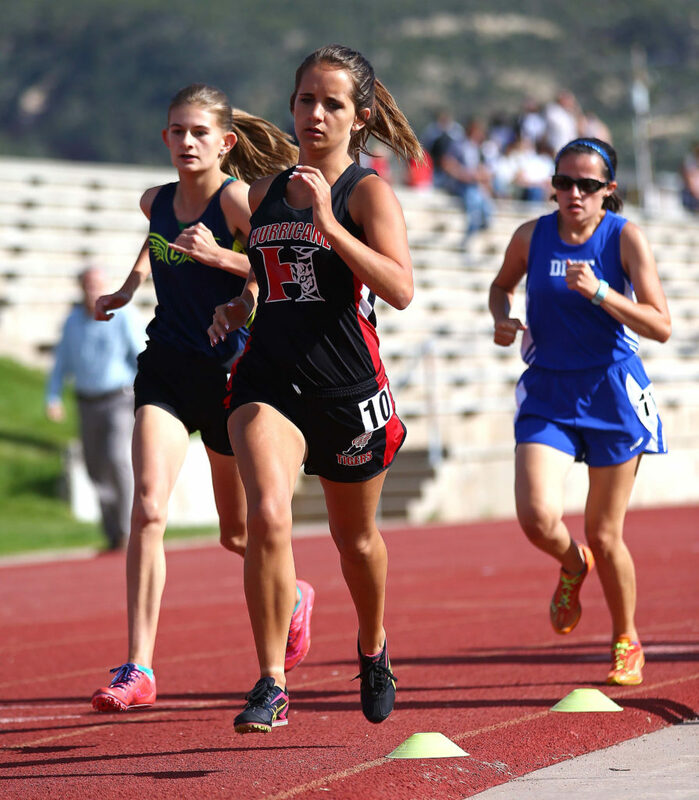 The DH girls also won the 4X100 relay, and got golds from Elly Williams (discus and shot put), Morgan Myers (long jump), Jessica Harris (high jump) and Kaylee Carter (javelin and 300-hurdles). Cedar is the defending state 3A girls champion. As for the boys, no team has dominated like the Desert Hills team. Winners of four straight state championships, the Thunder seem poised to do it again. 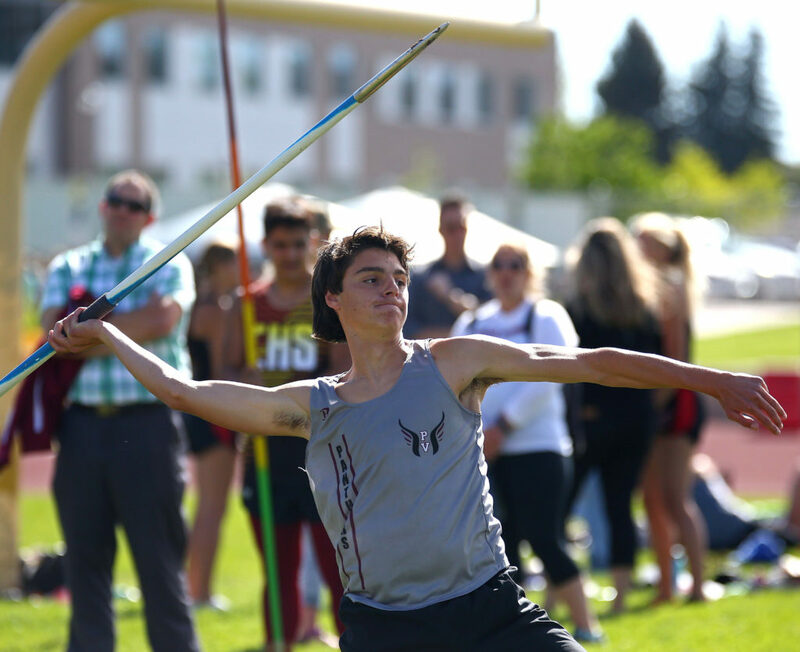 D-Hills took first at the region meet in eight events (out of 16 total) and had top-three placers in almost all the others. The speedster Earl, a senior, ran the 100 in 11.02 against a 3.8-miles per hour wind, then turned around 30 minutes later and beat the field to take the 200 with a time of 22.19, also against the wind. 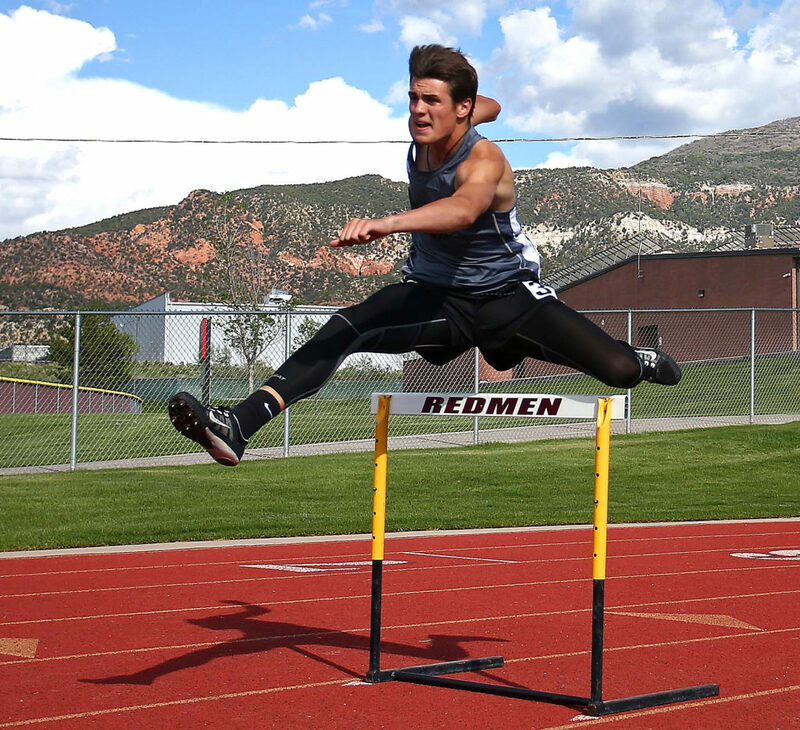 Carter Reynolds, a junior for the Thunder, proved to be the hurdle master, winning both the 110-meter hurdles (15.03) and the 300-hurdles (39.94). That’s nothing new for him as he’s been near perfect this season and even beat runners from all classifications in the 110-hurdles last week at the BYU Invitational. 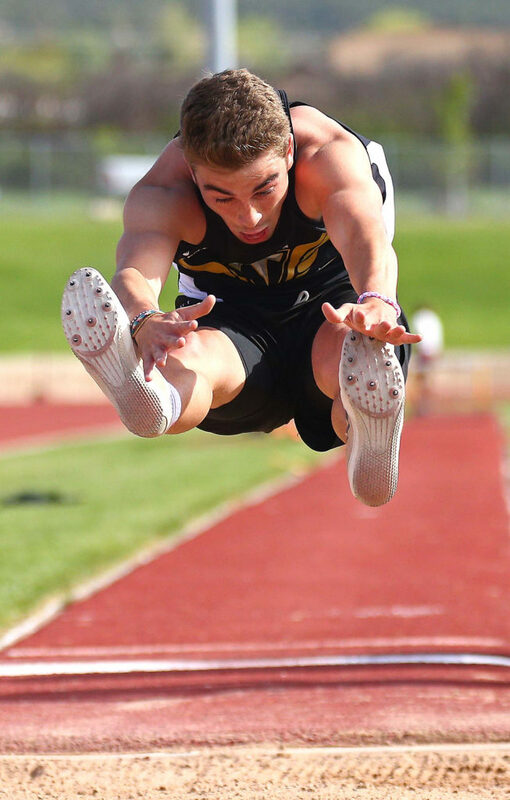 Other region champs for the Thunder include sophomore Zachary Marsden in the 400 meters (49.37), junior Tanner Hermann in the discus (142-feet, 7-inches), senior Kaden Broadhead in the high jump (6-feet-4), and the 4X400 relay with Earl, Reynolds, Hunter Holt and Tate Denos. 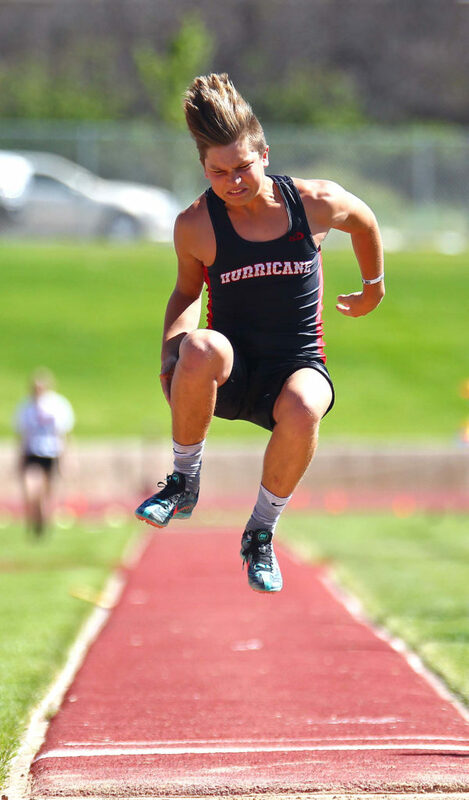 Other winners in the boys events were Jensen Lambert of Cedar, who won both the 1600 and 3200 meters, Trenton Maurer of Cedar in the javelin (179-feet, 8.5-inches), Jacob Mpungi of Pine View in the long jump (21-11.25) and Robert Campbell of Hurricane in shot put 51-1.5. 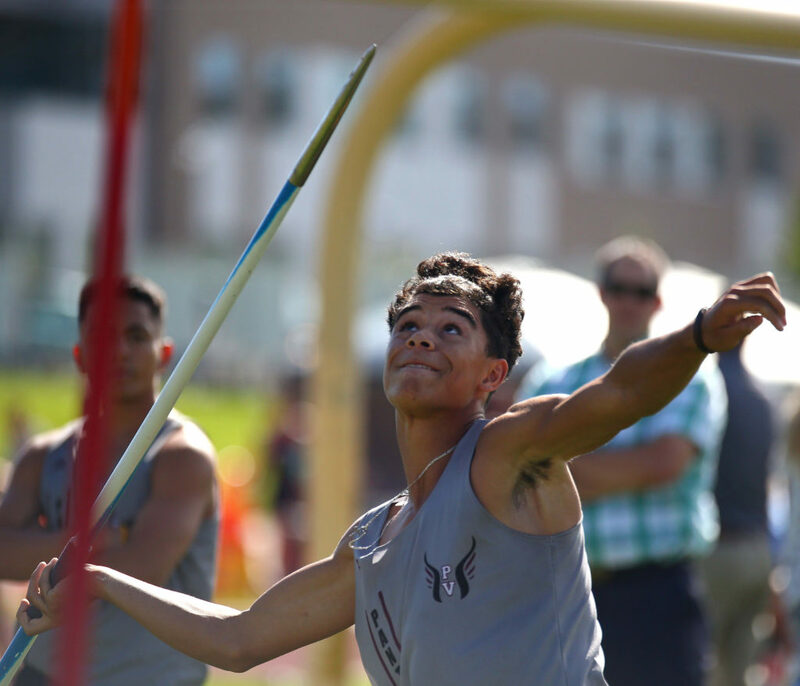 The Snow Canyon relay team won the 4X100 with Johan Castro, Jared Jensen, Gohki Tsuchida and Keivonte Washington. Hurricane’s medley relay team won first with Jaron Cordova, Riley Ballard, Kody Watts and Caleb Armstrong. 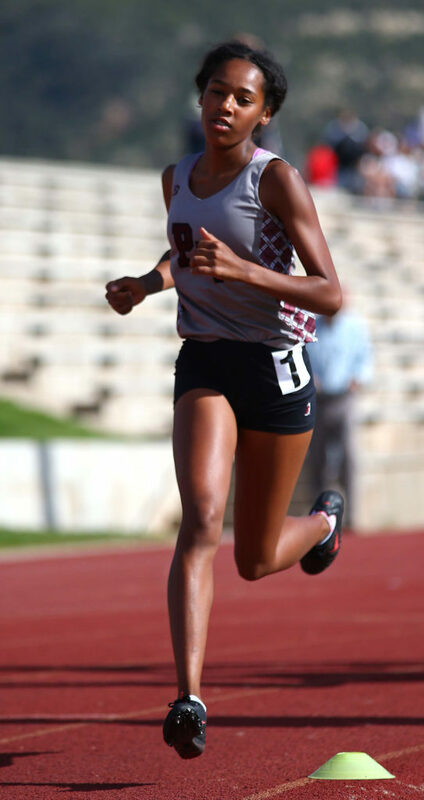 Lambert upset region powerhouse Jaiden Melendrez in both the 1600 and the 3200. The two have a friendly rivalry. 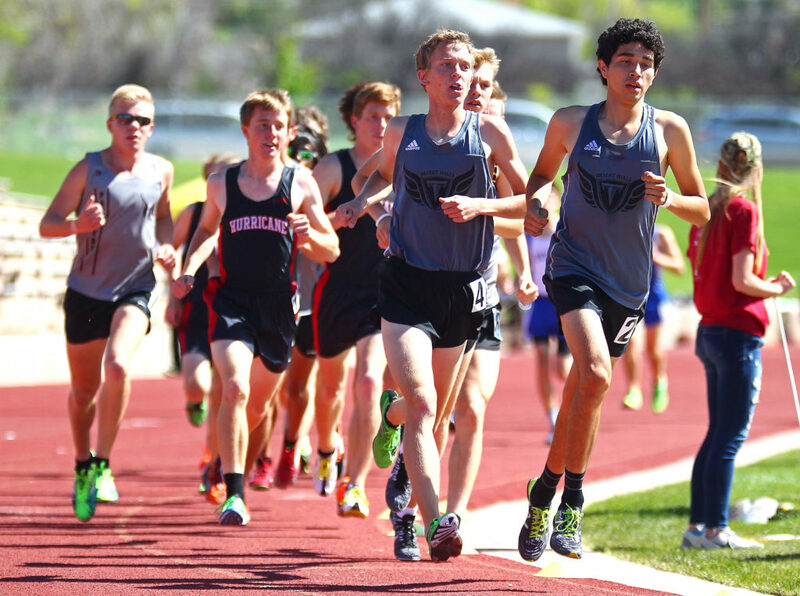 Melendrez, who won both the 1600 and 3200 at state in the 2015 and 2016 season, said the young runners help him in his pursuit of excellence. 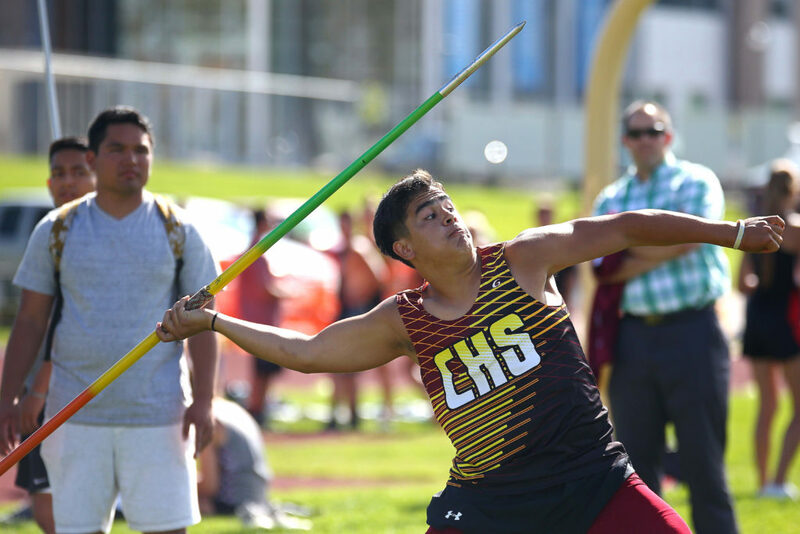 Melendrez was forced to take some time off this season after the Dixie Invitational when he was experiencing chest pains. 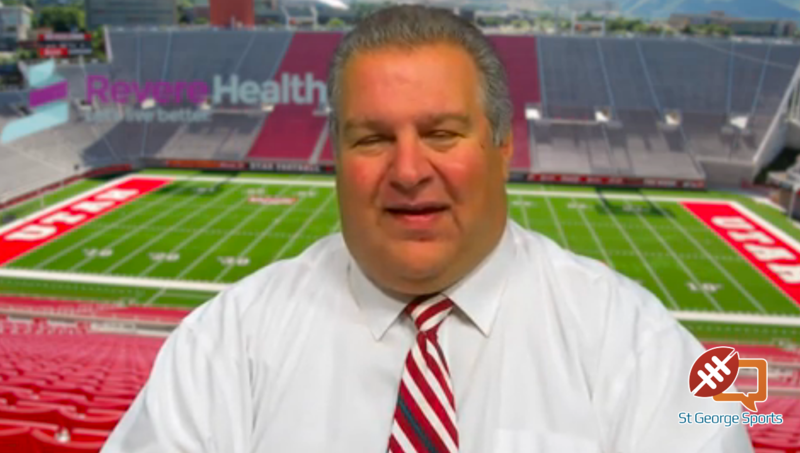 Doctors thought he might have heart problems, but later cleared him to run. The episode gave Melendrez some perspective. For the girls, Desert Hills got 20 team points each from Williams and Carter as they each won gold in two events. The 4X100 relay team of Rachel Myers, Brooklyn Lott, Hannah Morby and Jessica Bills also took the win. 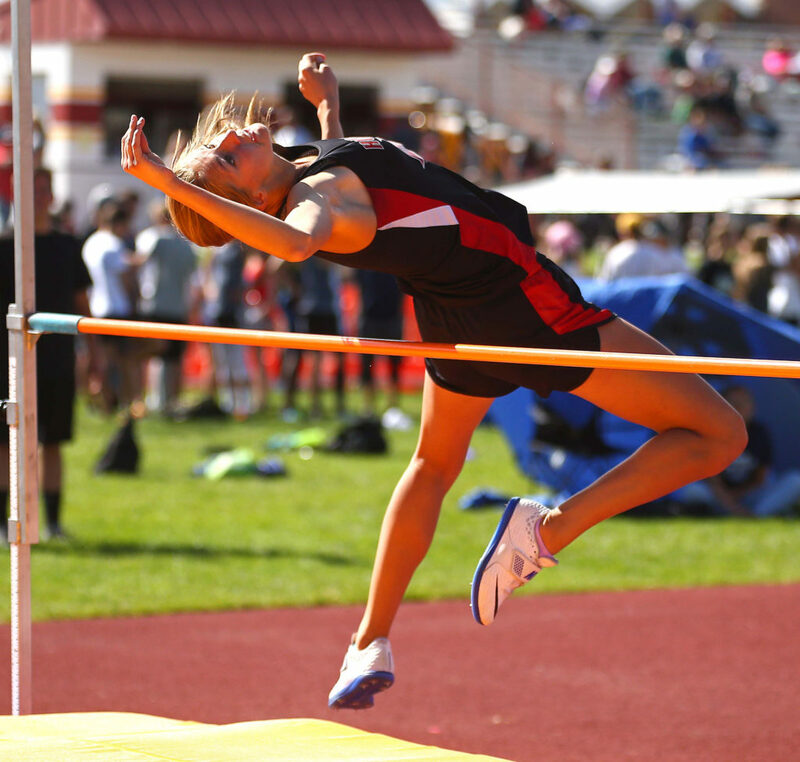 DH also had three of the top four finishers in the high jump with Harris, Morgan Myers and Saselah Goulding. 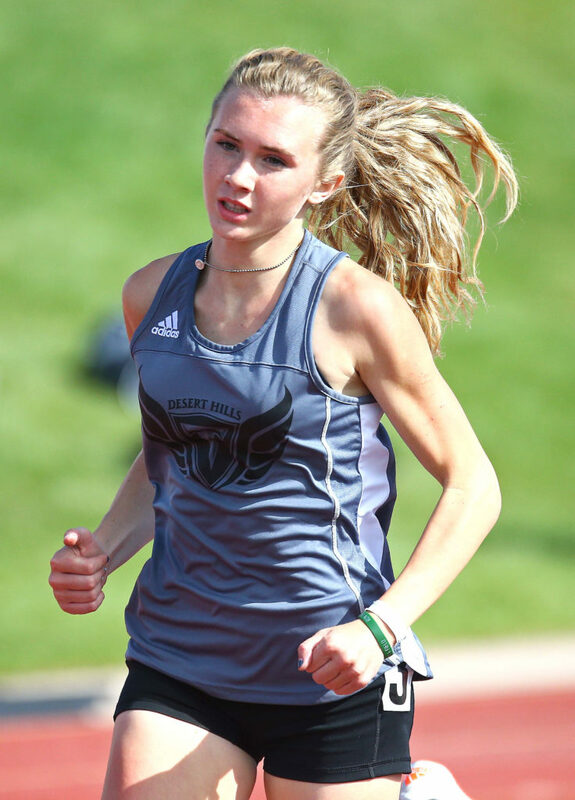 Cedar stayed close with gold medalists in the 800 and 1600 meters with sophomore Mic Webster (5:07.13), the medley relay team of Alexia Bird, Kalee Brunson, Brinley Hess and Halsey Curry (4:24.10), the 200 and 400 meters with Jasie York (56.40), and the 4X400 with Hess, Bird, Kaysie Klemic and Summer Bryson (4:05.68). 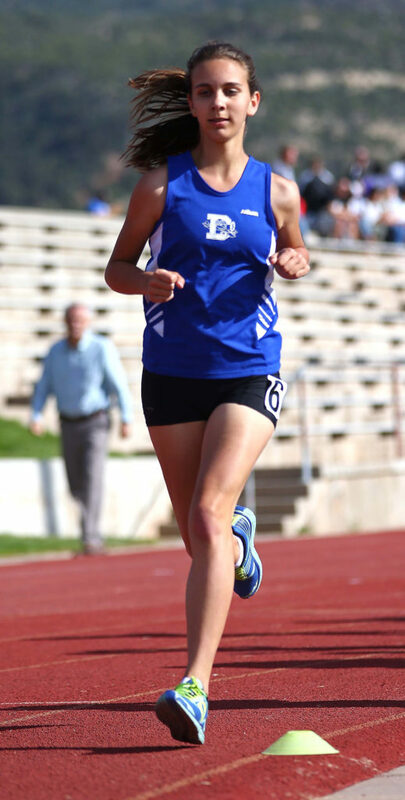 Starlee Woodbury of Dixie continues to be one of the top speed athletes to come through southern Utah in a long time. 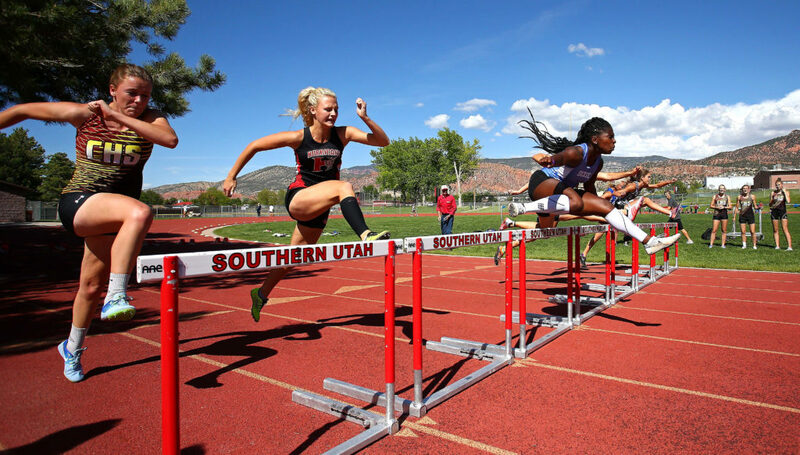 She won the 100-meters (12.41) and the 100-hurdles (14.99) Thursday and placed second in the long jump. 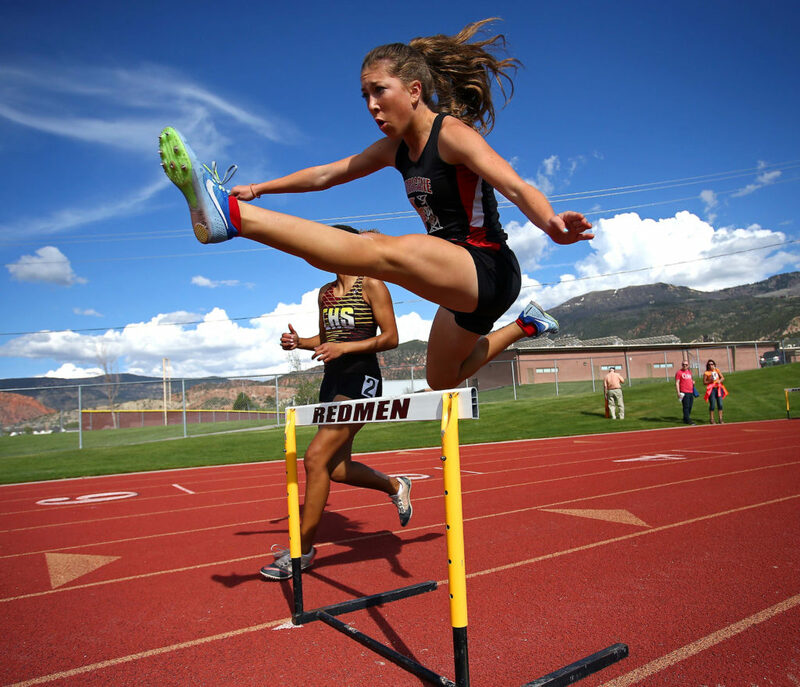 She was fourth in the 100 and second in the 100-hurdles last year at state and hopes to win both events next week. 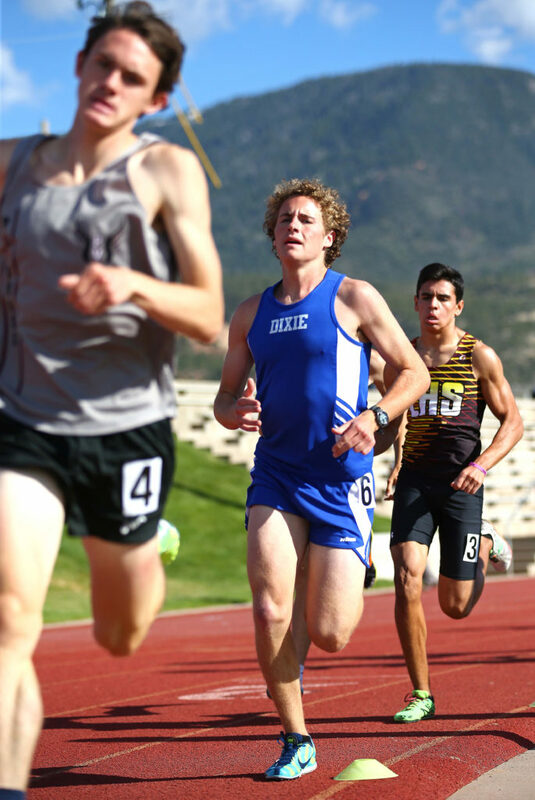 The state meet brings all classifications together for a monstrous two-day event next Friday and Saturday at BYU. 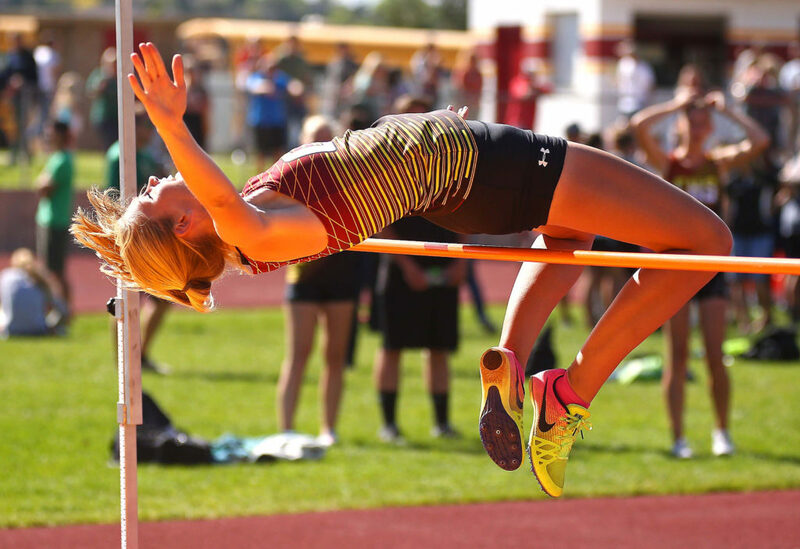 Last year, more than 240 events were competed between the five classifications.